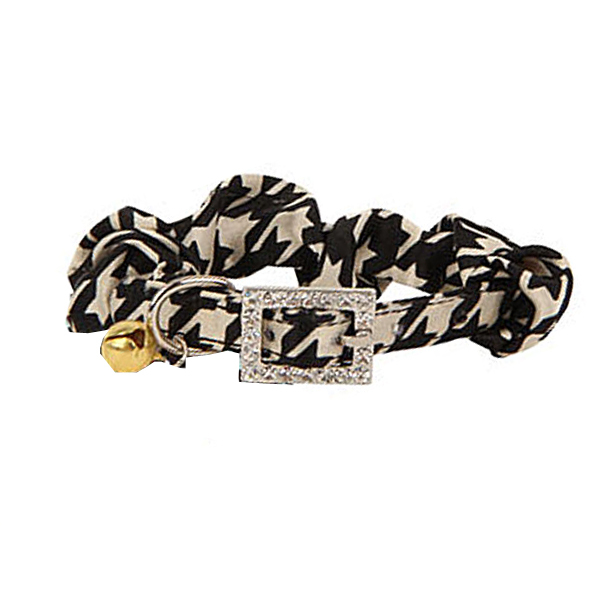 Add some flare to your cats day with the Houndstooth Cat Collar by Catspia! The Houndstooth Cat Collar by Catspia will add some pizazz to your cats day. An elastic band inside the houndstooth material has a scrunchie affect. Added flare with a rhinestone buckle and a bell on the D-ring. Made of 100% polyester.